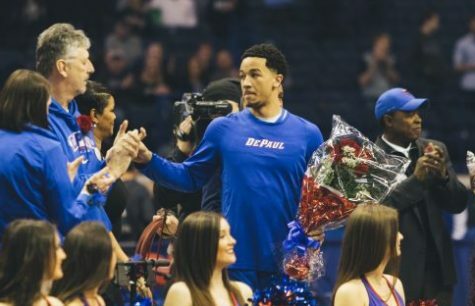 In the early hours of Sunday morning, Billy Garrett and the rest of DePaul men’s basketball team was sent outside of their Rosemont hotel due to a gas leak. The Blue Demons, along with the rest of the many attendees who were at the hotel for the Midwest FurFest — a furry convention, stood for nearly an hour and a half in the freezing cold. In limbo, the team eventually moved to a different hotel, settling there at 4:30 a.m. 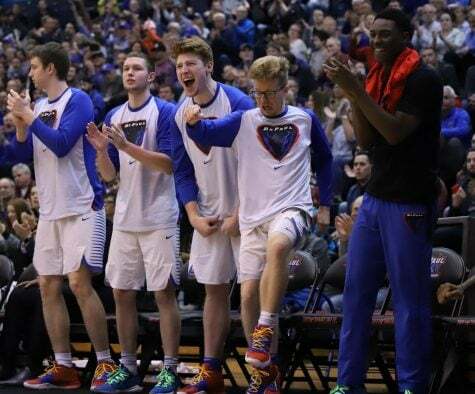 The lack of sleep didn’t leave the Blue Demons sleeping on the court. The energy from the team was there from the start, racing out to a 7-0 lead in the first three minutes. But even more impressive, DePaul was a force defensively. 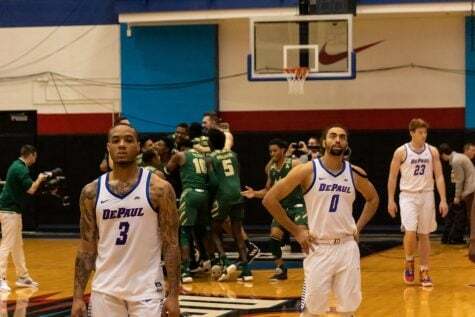 While the team has shown the knack for forcing turnovers, DePaul often stopped the Panthers on the inside. DePaul had nine first half blocks, stuffing Milwaukee players as they tried to penetrate the paint. 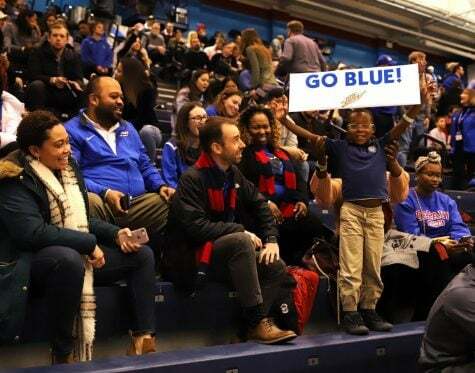 The defensive spark fired up the Blue Demons, with the most noteworthy moment being when Garrett came from the weakside to swat away a layup attempt. The normally mild-mannered Garrett landed, yelled out and then stared down Milwaukee guard Steve McWhorter. 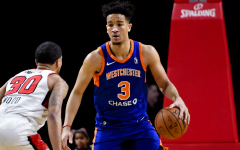 Garrett arguably had his best game of the season, finishing with 18 points, six rebounds and four assists. Tommy Hamilton also scored 15 points, grabbed nine rebounds and had three blocks. The Blue Demons held Milwaukee (4-5) to just 37.5 percent shooting, down from their 43.5 percent season average. The Panthers shot 32.3 percent in the first half and DePaul led 38-24 at halftime. 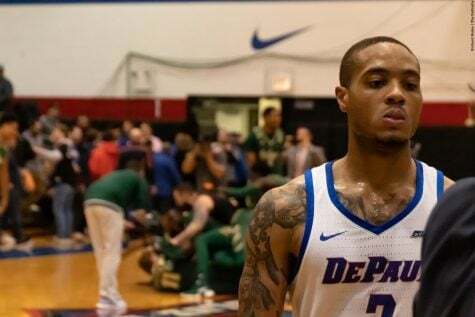 DePaul head coach Oliver Purnell said the first half effort was the best defense he had seen the group play all season. 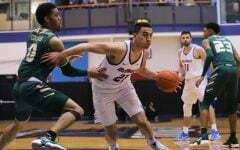 In the second half, the Blue Demons weren’t as strong defensively, but the team remained composed. 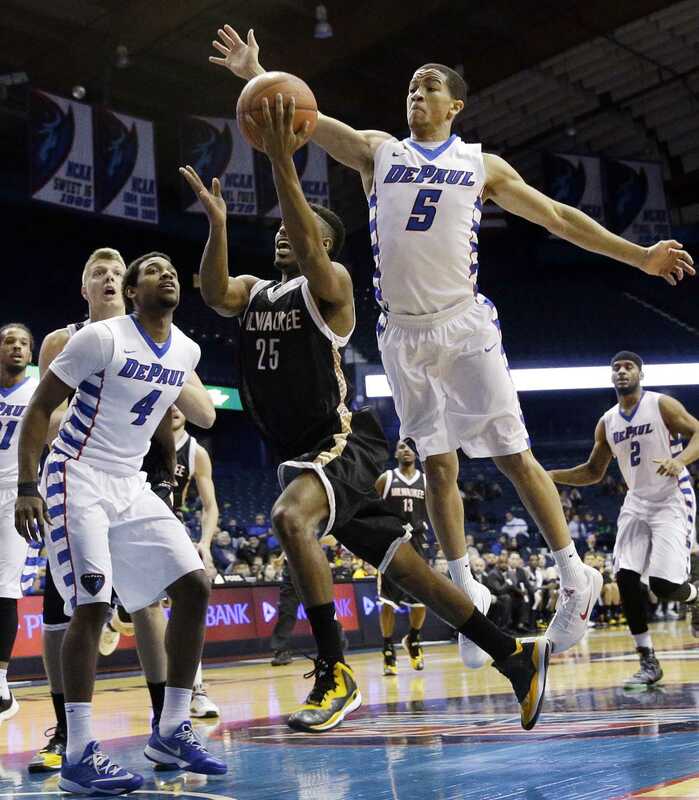 The closest Milwaukee got was with nine minutes remaining as they cut DePaul’s lead to nine, 59-50. Myke Henry, however, led another surge after that. Henry had a soaring one-handed dunk off a steal and a 3-pointer as the shot clock expired to give the Blue Demons breathing room. Henry scored 15 points as all five of DePaul’s starters finished in double figures. Senior Jamee Crockett had 13 points and junior Durrell McDonald had 10. 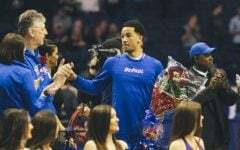 DePaul shot 53 percent from the field and 56 percent (10-18) from beyond the arc. The team also had another strong outing at the free throw line, shooting 91.3 percent (21-23). With this being the team’s fourth win in a row, Purnell said the team is still a far way off before he’s satisfied. “I’m happy that the group is getting better,” Purnell said. “As I said before the season started, this group has the character to start building really good chemistry. I feel that is growing. But we have not arrived. DePaul returns Thursday at 6 p.m. at George Washington (5-2).